Admittedly, I am one to buy into anything that promotes good sleep. Since Phoebe was born I have forgotten what a good night’s sleep feels like! I mean, even when she sleeps through, which is most nights, I really struggle to just turn off and have a peaceful slumber. I guess even when there is nothing wrong I am still worrying about what could be! Anywho, to aid me in my quest for a deep night’s kip I thought I would purchase Sleepy. 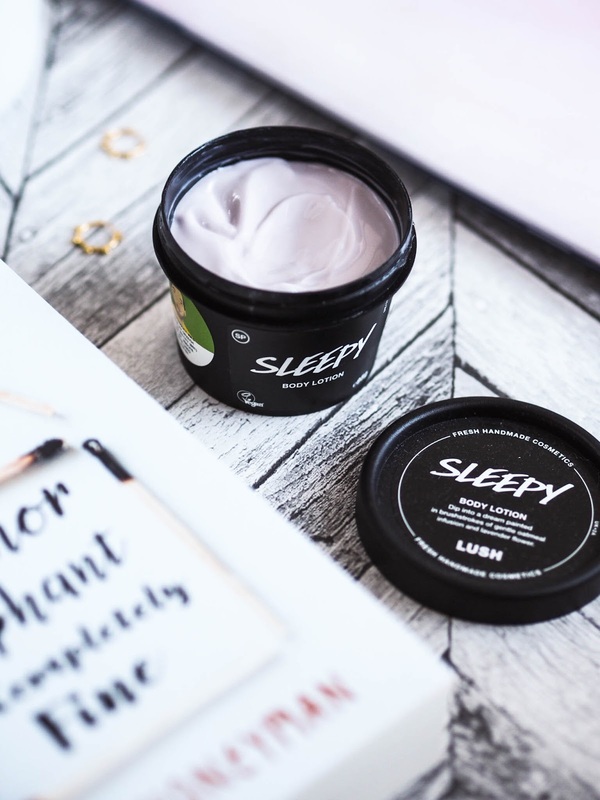 According to the Lush website 'you'll sleep well after dipping into this dreamy lotion, made with a gentle oatmeal infusion, calming lavender flower and comfortingly sweet tonka absolute.' I know what you're thinking; 'But this was one of your 2017 favourites!' And it was, for a time. I don't really know what happened to change my mind either! My initial thoughts were that if you didn’t mind smelling like a lavender cookie, then Sleepy has you. I love the colour of this product, even the light lilac shade promotes relaxivity to me. However, once applied it kind of felt a bit weird, almost drying, which is not what you want in a moisturiser! That being said, I woke up the next day my skin non the softer and without any lingering smell of lavender. All in all a bit disappointing if I am honest. Sleepy definitely didn’t help me sleep better either, but it was a relatively reassuring product. What I mean by that is the premise of a good night time routine often does calm me down, and get me zen and ready for sleep. I suppose what I am trying to say is that this cream acted kind of like a placebo? So, in essence it did work, but I definitely won’t be repurchasing it. I think I will just stick with my This Works Deep Sleep Pillow Spray, and my favourite Aveeno Daily Moisturising Lotion. Both of which last a lot longer, and are more effective in their respective jobs in my opinion.